Published on Apr 11, 2019 at 1:09 pm in Car Accidents. As a driver, you’re responsible for safety while on the road. This applies to more than practicing safe driving behaviors like keeping your eyes on the road and your hands on the wheel. You’re also supposed to make sure your car is safe to drive. One of the main components drivers need to pay attention to is their tires. When they’re neglected, tires can blow out and accidents can happen, which can cause terrible injuries. If a driver caused an accident because of a tire blowout that resulted in injuring you, there are legal steps you can take to financially recover. Golden Law Office has experienced Lexington car accident lawyers who will stand by your side and fight to get you the compensation you deserve. Yearly car inspections are probably when people hear about the conditions of their tires. But perhaps if they knew what led to blowouts, they’d be able to identify problem without waiting a long time for a mechanic to find it. Let’s take a brief look at how tire blowouts happen. Published on Mar 28, 2019 at 2:50 pm in Truck Accidents. Every day, products and services are hauled across the country. While the trucking industry is a benefit to the nation’s economy, the vehicles themselves can create deadly situations. When tractor-trailers compete with cars, SUVs, pickups, and motorcycles for space on the road, it’s possible for those in smaller vehicles to get seriously hurt. 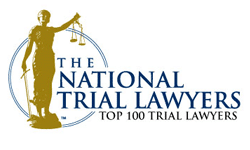 Thousands of individuals are fatally injured every year in truck accidents. The majority of big rig crashes are entirely preventable because most are the result of human error. There are steps that truckers and trucking companies can take to reduce the number of crashes. But hesitation is likely because many of the steps involve time and monetary investments; however, our lawyers understand that your loved one’s lives are worth more. Published on Mar 14, 2019 at 4:04 pm in Truck Accidents. The trucking industry is one of the largest in the country and delivers millions of goods and services all across the United States. While the benefits of the industry are substantial, accidents involving truck drivers and smaller passenger vehicles claim thousands of lives every year. Many of the wrecks are attributed to driver error or company neglect. Experts are estimating severe trucker shortages in the upcoming decade. This could potentially raise the number of truck accidents and put more lives at stake. In order to understand why collision rates could increase, it’s important to understand why the shortage is happening in the first place. Published on Feb 28, 2019 at 2:41 pm in Car Accidents. Responsible drivers know to be on the lookout for dangerous situations; however, it can be difficult to anticipate the possibility of an accident when the danger is underneath your tires. There are millions of motor vehicle accidents every year in the United States, and a significant number of those are the result of poor road conditions due to insufficient or improper maintenance. According to the U.S. Department of Transportation, 4,436 of the 14,116 bridges in Kentucky, which is 31.4 percent, are structurally deficient or structurally obsolete. It’s also been calculated that 34 percent of the roads in the state are in poor or mediocre condition. As a result, $543 million is spent every year by drivers who are making repairs to their cars because of the roads that need to be fixed. That $185 per person. How Do Mandatory Reporting Laws Work in Kentucky? Published on Feb 14, 2019 at 3:45 pm in Nursing Home Abuse. If you have a loved one in a nursing home, you expect them to be given the best care so they stay healthy and can enjoy their life in the home. However, if you see something that seems off, you may be wondering if you should report it. In Kentucky, you need to report signs of abuse or danger. While this may be scary, it’s going to benefit your loved one and make sure they get the help they need. Then, you can seek justice for them with a nursing home abuse claim. At Golden Law Offices, we understand how precarious this situation can be, but we will be with you every step of the way to provide all the help and support that we can. We’ll make sure to fight for your loved one’s rights and to do everything possible to get them a fair settlement. Why Isn’t Elder Abuse Reported More Often? Published on Feb 5, 2019 at 4:44 pm in Nursing Home Abuse. It can be difficult to realize that as our family members age, they can become vulnerable to different types of abuse – especially when those are the individuals we’ve looked up to our entire lives. There are a number of factors that increase a person’s risk for abuse – especially when they live in a long-term care facility like a nursing home. Unfortunately, it’s a rare occurrence for an abused senior to report what’s been done to them. It’s known that approximately one in ten Americans over the age of 60 has experienced some form of abuse; however, it’s likely that only one in 14 cases are reported to the proper authorities. It’s also likely that those numbers are low estimations. Understanding what factors put an elder at risk can aid in the prevention of abuse. Published on Jan 10, 2019 at 4:51 pm in Car Accidents. Kentucky citizens utilize the state’s roadways every single day to accomplish their tasks and goals. Just in 2016, Kentucky’s roads were traveled for a total of 49.196 billion miles. Because of the constant travel, it’s no surprise accidents occur. Most of these accidents, however, are entirely preventable. If you’ve been hurt in a car accident, you have legal options that our lawyers can assist you with. In order to understand why the majority of Kentucky car accidents are preventable, let’s take a look at the most common causes of collisions in the state. How Does Negligent Hiring Affect the Trucking Industry? Published on Dec 26, 2018 at 9:43 pm in Truck Accidents. The aftermath of a truck accident can be devastating. This isn’t surprising when you consider commercial vehicles weight up to 80,000 pounds and often carry hazardous materials. The significant property damage often results in totaled vehicles and the physical injuries can be life-changing. The hardest part of dealing with a severe truck accident often revolves around accepting the accident could have been prevented. When trucking companies neglect their responsibilities and hire poor drivers, they should be held accountable for their actions. That’s where we come in. At Golden Law Office, our truck accident attorneys have years of experience working with truck accident victims. If you believe a trucking company is responsible for your accident, we will do what we can to investigate your claim. In order to start the legal process, it’s a good idea to have a basic understanding of why negligent hiring has such an impact on the trucking industry. Let’s start by looking at state and federal hiring and retention regulations. Published on Dec 13, 2018 at 8:41 pm in Wrongful Death. Whether you’re working on a construction site or traveling through bluegrass country, there’s always the chance for an unexpected injury, or worse. In the event you lose a loved one as a result of an unexpected or a wrongful death, Kentucky’s wrongful death laws can help you pick up the pieces. It’s important to recognize, however, that this process is time sensitive because of its statute of limitations. Before you can understand how the statute of limitations works for wrongful death claims in Kentucky, you need to understand what constitutes a wrongful death and how statutes of limitations work. Published on Nov 29, 2018 at 3:13 pm in Car Accidents. Millions of drivers access Kentucky’s roadways every single year. Thousands of miles are covered resulting, unfortunately, in thousands of accidents. According to the Analysis of Traffic Crash Data in Kentucky by the Kentucky Transportation Center, just in 2016, there were over 140,000 car collisions resulting in over 37,000 injuries and 830 deaths. Whether you’re a resident of Kentucky or just passing through, it’s important to understand the car accident laws and settlement process. If you’re in a car accident, you have the right to compensation for your damages; however, you’ll only be eligible for those awards if you follow through with your legal obligations. Keep reading to learn about handling and settling car accidents in Kentucky.